Get ready for another version of the new iPhone that will work on any compatible carrier—”compatible” being the key word. According to a note posted on its online store, Apple will offer an “unlocked” iPhone 4S—that is, a version of the new iPhone that hasn’t been “locked” to a particular carrier’s wireless network—starting in November. Update (11/11/11): The unlocked iPhone 4S is now available on Apple’s website. It won’t be cheap, though, nor will it work on Sprint or Verizon Wireless. Expect to pay a whopping $649 for the 16GB version—an eye-popping $550 premium over an iPhone that’s “locked” for use on AT&T, Sprint, or Verizon. The 32GB unlocked iPhone, meanwhile, will go for $749, while the unlocked 64GB iPhone will sell for $849. Looking for more of a bargain—relatively speaking, anyway? Consider an unlocked 8GB version of last year’s iPhone 4, which Apple is selling for $549. Why the sky-high price tags? Well, the unlocked iPhone 4S is a no-contract phone that isn’t “locked” to any one carrier—meaning, unfortunately, that you won’t be eligible for any carrier price breaks. The $199, $299, and $399 iPhone 4S models on sale through AT&T and Verizon come with mandatory two-year contracts, along with generous carrier subsidies to sweeten the pill. The beauty of an unlocked phone (get the scoop on what “unlocked” means right here) is that you can simply pick one up, insert a working SIM card (or a smaller “micro-SIM” card, in the case of the iPhone 4 and 4S), and start making calls—perfect for those who want to use an iPhone with a non-iPhone carrier (like T-Mobile), or jetsetters who want to use cheap, local SIM cards while making calls abroad. What’s the catch? Well, Sprint and Verizon both run CDMA networks, which are incompatible with GSM networks and don’t even use SIM cards. Indeed, any phone used on Sprint or Verizon must be specifically programmed to work on their respective networks. 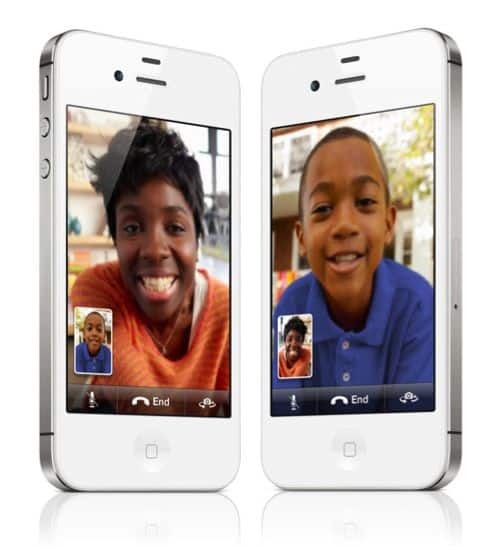 Now, the new iPhone 4S is a “world phone” that’s compatible with both CDMA and GSM networks—so, theoretically, you could call Sprint or Verizon and ask them to activate your unlocked iPhone on one of their respective networks. The restriction probably also applies to Boost Mobile or Virgin Mobile, two pre-paid carriers that also employ CDMA networks. 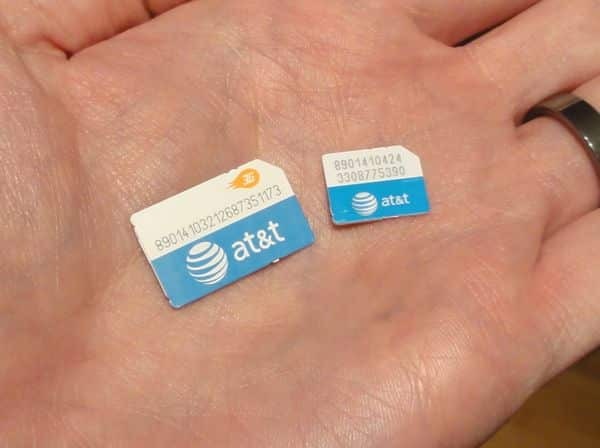 In any case, you can always snag a pre-paid micro-SIM card from AT&T, T-Mobile, or any number of other pre-paid carriers carriers (they’re available for a buck and up on Amazon), plug it into your new unlocked iPhone, and start chatting away. You’ll need a data plan associated with your micro-SIM card to surf the web, stream music, or otherwise consume cellular data on an unlocked iPhone. If you’re using a post-paid micro-SIM card and you start surfing away without a data plan, you may get hit with exorbitant data fees, so easy does it. Another option: skip the data plan and only use Wi-Fi data. To do this, tap Settings, General, Network, and then flip the Cellular Data switch to Off. While you can access data on T-Mobile’s network through an unlocked iPhone, the iPhone 4 doesn’t support the proper frequencies for T-Mobile’s speedy 3G and 4G networks. That means you’ll have to settle for the slower EDGE network, which is OK for email and light web surfing but a non-starter for streaming music or video. Got more questions about the unlocked iPhone 4S? Sure you do. Leave ’em below, or shoot me an email. Note: I’ve updated this story to include information and pricing for the new, unlocked iPhone 4S and the older iPhone 4.